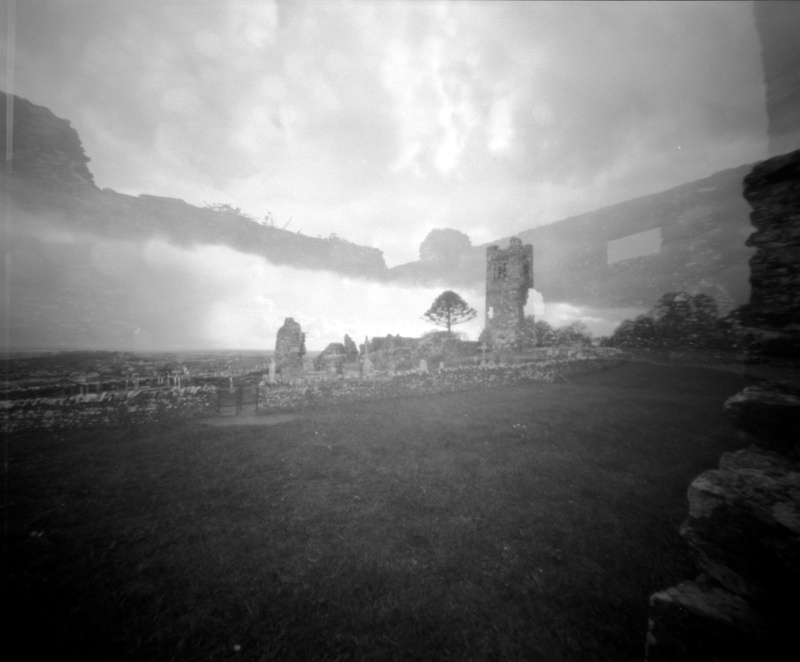 Myth and legend tells us that St Patrick lit the Pascal fire on the hill of Slane in 422 AD this was in the line of sight of the high king of Ireland and it is said that the King was warned that if the fire was not put out that Christianity would burn forever across Ireland. 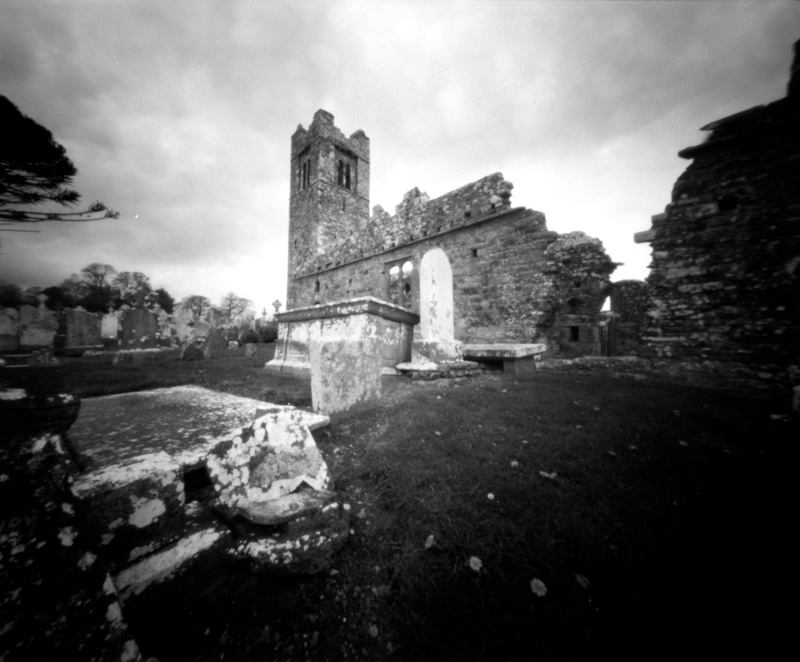 A monastery was built on the site as far back as 513AD and has been replaced with various monasteries and abbots in the centuries that followed. 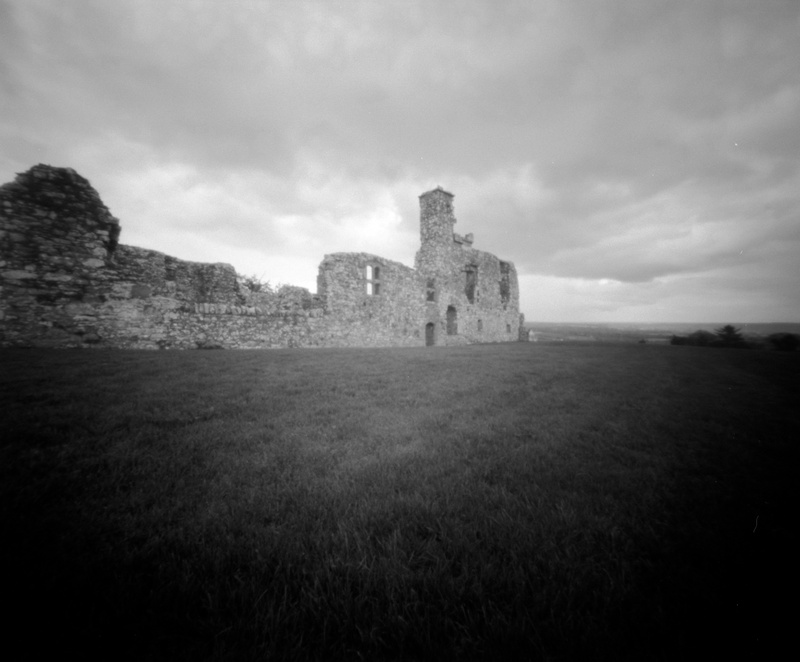 In 1175 Richard le Fleming, first Baron of Slane built a Motte and Bailey castle and the buildings that can still be seen today were constructed in 1512. 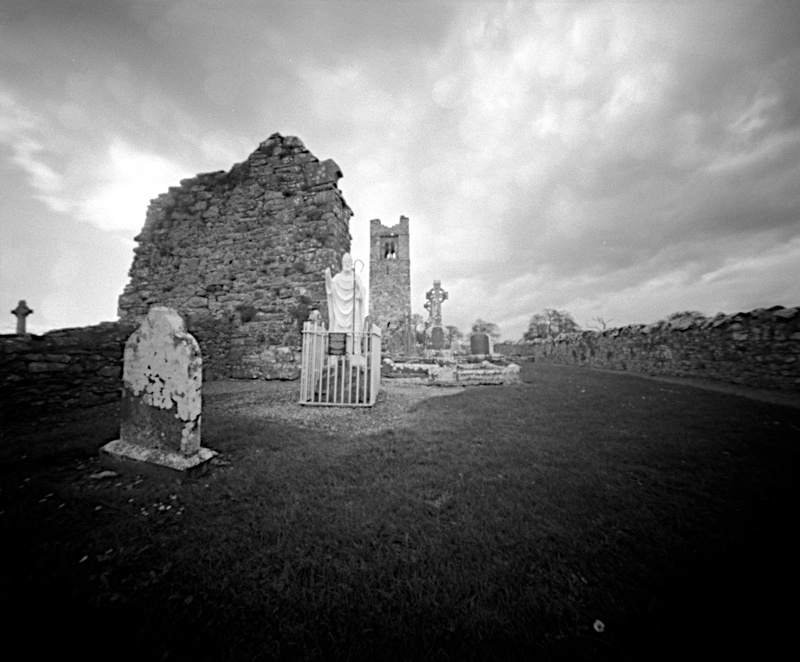 The remnants of the friary and walled graveyard make for some interesting pinhole shots and since this is the most elevated point in the area the view are wonderful. The day i visited it was foggy and lashing rain so I think i will need to re-visit soon. Thanks Moni, I really sorry I have not been posting more here – I have stuff shot and scanned just need to get it up! !